It is a blustery rainy mess outside, perfect for quality time in the craft room. 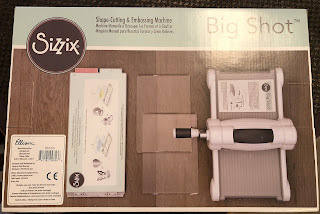 I have grounds for crafty celebration as well, my sweet husband gifted me with a new toy this week and I would be remiss if I did not give it a thorough try.. right.. Check out this sweet crafty goodness.. 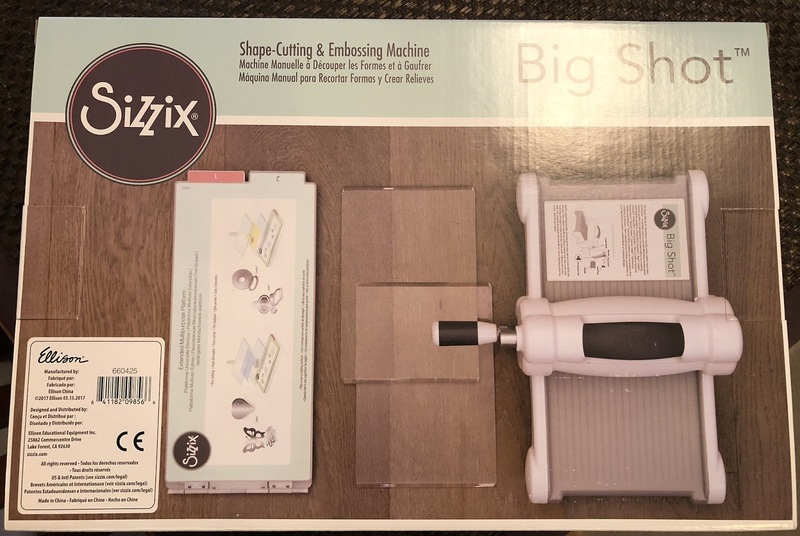 Between this and my trusty 'Bug' I have all my embossing and die cutting needs well in hand. My sister Barb has been on a challenge hunt as of late, looking for challenges that we have not tried before. So I am playing along with Hand Stamped Sentiment Sketch Challenge #283. As I was sipping latte this morning ;), it was on the brain when I went on my supply quest for this challenge. 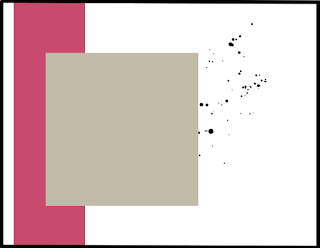 I love these fun papers and I just happened to have the Altenew - Coffee Love sitting in my 'must use' bin on my desk. 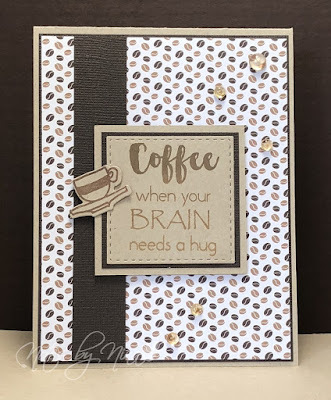 I stamped the sentiment using a brown ombre ink then used stitched die cuts to cut it out. I think layered it and popped it up. I stamped the cup and die cut it as well. I finished with some coffee coloured drops. 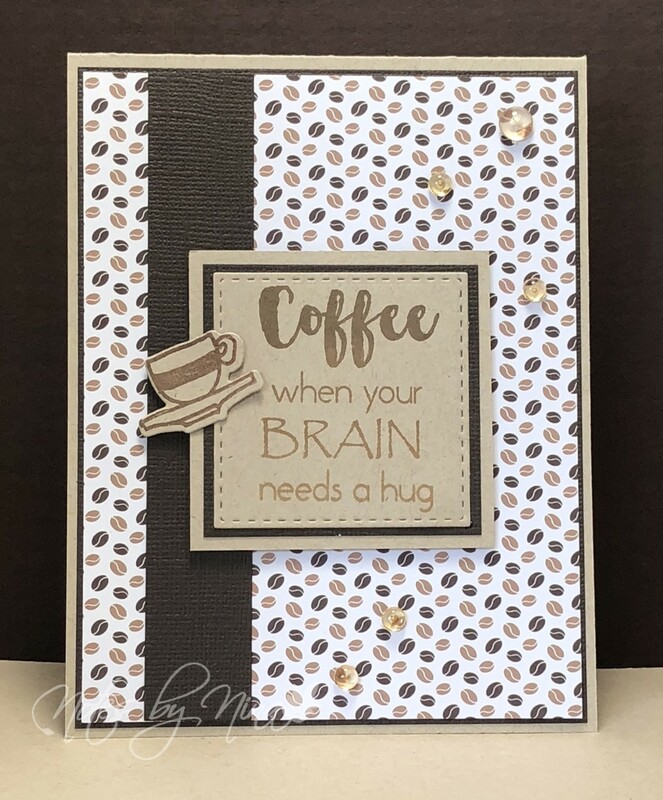 Supplies: Kraft and brown cardstock, Designer paper - your next stamp, Altenew - Coffee Love stamp and die set, SSS - Stitched Rectangles, drops. What a fun sentiment! Perfect for that paper. Thanks for playing with us at HSS.